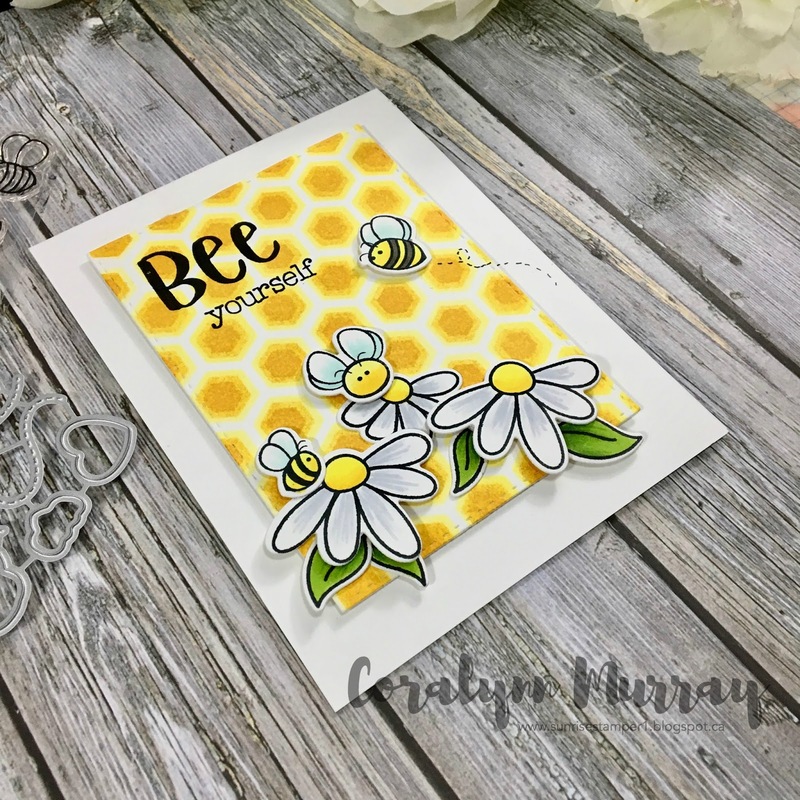 Spotlight Designer: Coralynn Murray’s Bee Yourself! 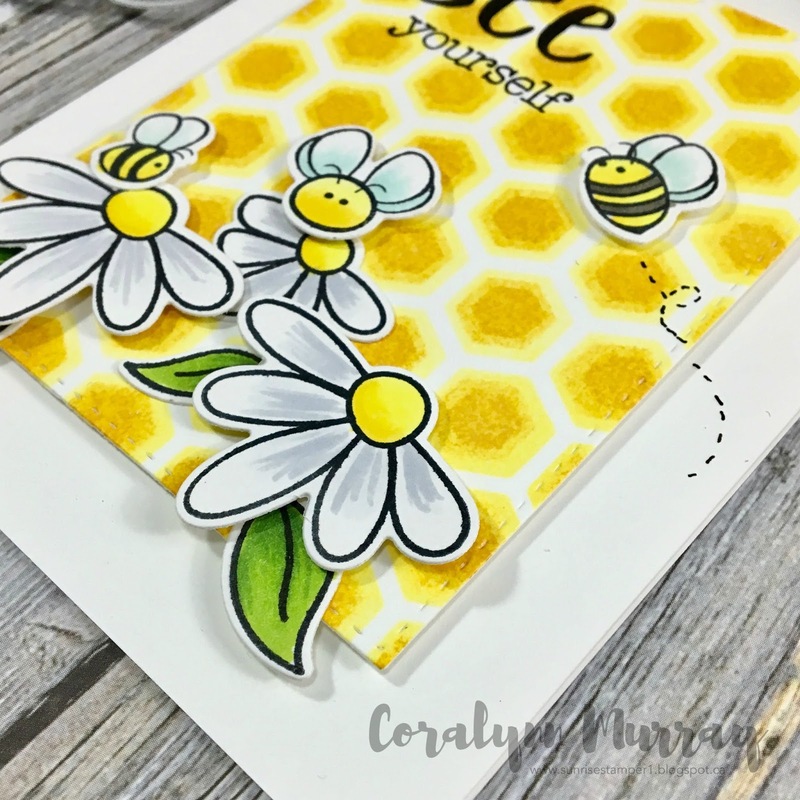 I am super excited to be here guest designing for Honey Bee Stamps. I started with the Hexagon Layering Background Stencil Set and boy the possibilities! I used distress inks to make the background panel. I cut it out with a stitched rectangle and popped it up on foam tape to the card base. 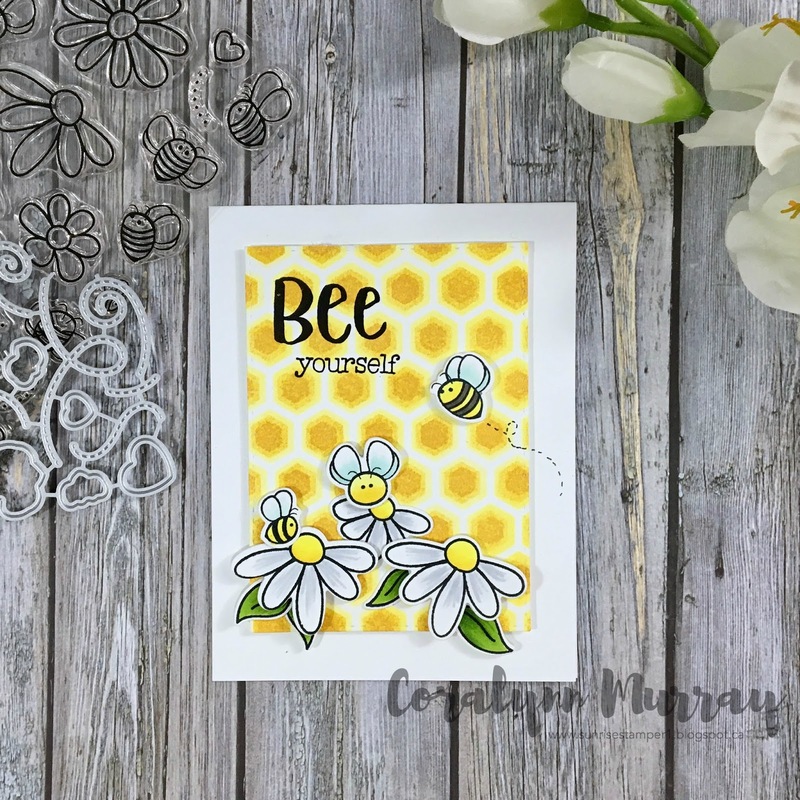 Then I stamped and die cut the sweet little bees and flowers from the Busy Bee stamps and Busy Bee Honey Cut dies and coloured them in with my copics. I added some of the images with foam tape and others with liquid adhesive. I stamped the sentiment from the Bee-You-Tiful stamp set with black dye ink and added it to the background panel. Now, I am the worst for really getting into my cards and then realizing that I forgot the sentiment. So over the years I’ve gotten pretty creative on how to get it stamped on the card without messing it up. I added liquid adhesive to the foam tape to make it slippery and slid it in-between the other pieced already on the card and viola! It worked like a charm. I want to thank Lisa and Melissa for having me today. Thanks for stopping by!